Apple Inc. Earnings: Will AAPL Stock Increase Its Dividend? Apple Inc. Earnings: Will AAPL Stock Increase Its Dividend? Apple Inc. Earnings: Will AAPL Stock Increase Its Dividend? Apple Inc. (NASDAQ:AAPL) is known for providing huge capital gains to investors for the most part of the last decade. More recently, Apple stock also established itself as a solid income investment because it dishes out billions of dollars of dividends to shareholders every quarter. Now, the company is reporting earnings again. 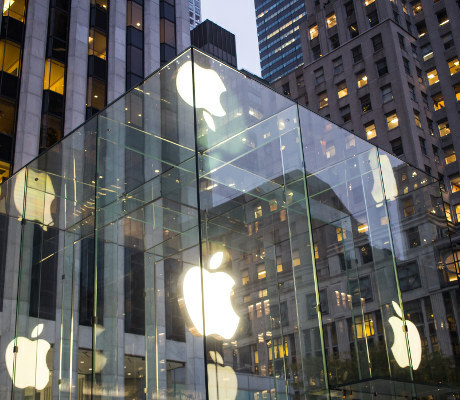 Let’s see what dividend investors can expect from the latest AAPL stock news. While these expectations are certainly high, note that the company has quite an impressive track record when it comes to beating them. Over the past year, Apple stock has beaten Wall Street’s earnings-per-share estimates in all four quarters. Thanks to impressive financial performance, AAPL stock soared. At this time last year, Apple was already the biggest company in the world, commanding around $630.0 billion of market cap. And yet, in the past 12 months, the stock still surged 37.6%. The company is scheduled to report financial results of the first quarter of its fiscal year 2018 on Thursday, February 1 after the bell. Usually, the expectation for a company’s earnings date is that if it can beat analysts’ expectations, the stock would climb. But in the case of Apple, there might be something that’s just as important as the revenue and earnings figures—”iPhone” sales. So, will iPhone sales be a catalyst for Apple stock in this earnings report? Because of the iPhone X’s much higher price tag than previous iPhones, solid sales results could significantly boost Apple’s revenue and profit. On average, analysts expect the company to report 79 million total iPhone unit sales in the December quarter, one million units more than the year-ago period. Will AAPL Stock Increase Its Dividend? With revenue, earnings per share, and iPhone sales, there are quite a few things to watch for in Apple earnings report. However, if you are a dividend investor, Thursday’s news probably won’t keep you up at night, because no matter what the results are, the company is well-positioned to return an increasing amount of cash to shareholders. In other words, the company had a payout ratio of just 26%. This leaves a wide margin of safety and plenty of room for future dividend increases. For a company that’s willing to return cash to investors, a growing business and a large cash position will likely translate to continued dividend increases. Apple’s Board of Directors usually reviews its dividend policy in May. Given its recent financial performance, I expect Apple Inc. to announce a payout increase of around 10% in May 2018.